The Miracle on the Hudson would never have happened 10 years ago without air traffic controllers — and today, more than 14,000 are working without pay because of Trump's shutdown. 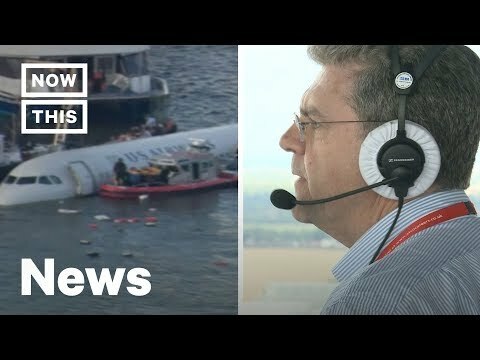 On January 15, 2009 a pack of geese flew into the engines of Flight 1549 and without the help of air traffic controller Patrick Harten there may not have been a Miracle on the Hudson that day when Captain Chesley 'Sully' Sullenberger was successfully able to make an emergency water landing on the Hudson River. All of the 155 passengers and crew members survived the landing. Currently, there are over 24,000 employees (14,000 of which are air traffic controllers) from the Federal Aviation Administration who are working without pay, because of President Trump's decision to shutdown the government, which has now been closed for over an entire month. The NATCA has now filed a lawsuit against the federal government as of January 11th, stating a violation of the constitution and reminding all that these positions are vital to public safety.